Seizure disorder causes in adults Adults can suffer from seizures when gone through severe head trauma for instance, when sustaining a car accident can lead to seizure disorders. Genetics has a big role to play in the development of seizure disorders and is being considered to be an active area of medical research. Thus, this proves that genes are also to be blamed for occurrences of epilepsies. 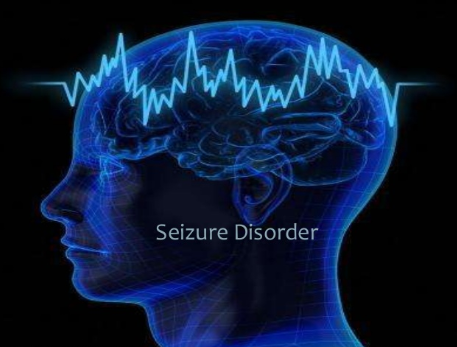 It has been shown that almost 10% of patients who has a parent with seizure disorder will develop the same. Also, patients with a developmental disorder such as the Down's syndrome are more at risk of developing seizure disorders. And although it is not much common, but patients with brain tumor also have chances of developing brain tumors. Studies have shown that there has been a sudden rise of incidences of epilepsy in the elderly population. As compared to children, an elderly brain is more vulnerable due to aging. For instance, Alzheimer disease and dementia can cause a significant amount of plaque buildup which goes on to damage brain structure and function. Because of this, it is considered to be the leading causes of seizure disorders in the elderly. Another major cause is due to strokes which are very common in older people where the blood supply and oxygen is blocked from certain areas of the brain. Almost half of the elderly patients have seizure disorders due to stroke. While taking Depakote, the patient might have thoughts of doing suicide. Inform your doctor if you see that your depression has become worse or you are having suicidal thoughts during the first several months of treatment or especially when your dose has changed. The patient's family or caregivers should also remain alert in case the patient's mood or symptom changes . Regular visits to the doctor is a must therefore, missing any scheduled appointment is not recommended.